Progressive Charlestown: Common drugs, uncommon risks? Millions of times a year, Americans get prescriptions for a week's worth of steroid pills, hoping to ease a backache or quell a nagging cough or allergy symptoms. But a new study suggests that they and their doctors might want to pay a bit more attention to the potential side effects of this medication. People taking the pills were more likely to break a bone, have a potentially dangerous blood clot or suffer a life-threatening bout of sepsis in the months after their treatment, compared with similar adults who didn't use corticosteroids, researchers from the University of Michigan report in a new paper in the British Medical Journal (BMJ). The study used data from 1.5 million non-elderly American adults with private insurance. One in 5 of them filled a short-term prescription for oral corticosteroids such as prednisone sometime in the three-year study period. While the rates of the serious events were highest in the first 30 days after a prescription, they stayed elevated even three months later. The researchers call for better education of prescribers and the public about the potential risks, and the most appropriate uses and doses, for short-term courses of steroids. The U.S. Food and Drug Administration require drug makers to list the possible side effects of prednisone and other corticosteroids, but the rate of these events among short-term users has not been well characterized. "Although physicians focus on the long-term consequences of steroids, they don't tend to think about potential risks from short-term use," says Akbar Waljee, M.D., M.Sc., the study's lead author. "We see a clear signal of higher rates of these three serious events within 30 days of filling a prescription. We need to understand that steroids do have a real risk and that we may use them more than we really need to. This is so important because of how often these drugs are used." Nearly half received a six-day prepackaged methylprednisolone "dosepak," which tapers the dose of steroids from highest to lowest. Dr. Waljee notes that sold as individual pills, oral steroids can cost less than a dollar for a seven-day course, but the prepackaged form can cost several times that. He also notes that the prepackaged form starts with a relatively high dose that may not always be necessary. First, they compared short-term steroid users with non-steroid users, looking for the three serious issues in the 5 to 90 days after either the clinic visit closest to when the steroid prescription was filled, or a routine clinic visit for non-steroid users. This gives what's called an absolute risk. They saw that 0.05 percent of those who got steroids were admitted to a hospital with a primary diagnosis of sepsis, compared with 0.02 percent of non-steroid users. For clots, it was 0.14 percent compared with 0.09 percent, and for fracture, it was 0.51 percent compared with 0.39 percent. However, this analysis was unable to account for all the individual differences between steroid users and non-users. The consistent findings across the three approaches are important given the frequent use of these drugs and potential implications for patients. Waljee notes that the reason for this broad effect of steroids on complications may have its roots in how the drugs work: they mimic hormones produced by the body, to reduce inflammation but this can also induce changes that put patients at additional risk of serious events. Studies in populations like the one in the BMJ paper can help guide researchers looking for dangerous side effects once drugs are on the market. Waljee notes the FDA is also conducting these initiatives through the "Sentinel Initiative." 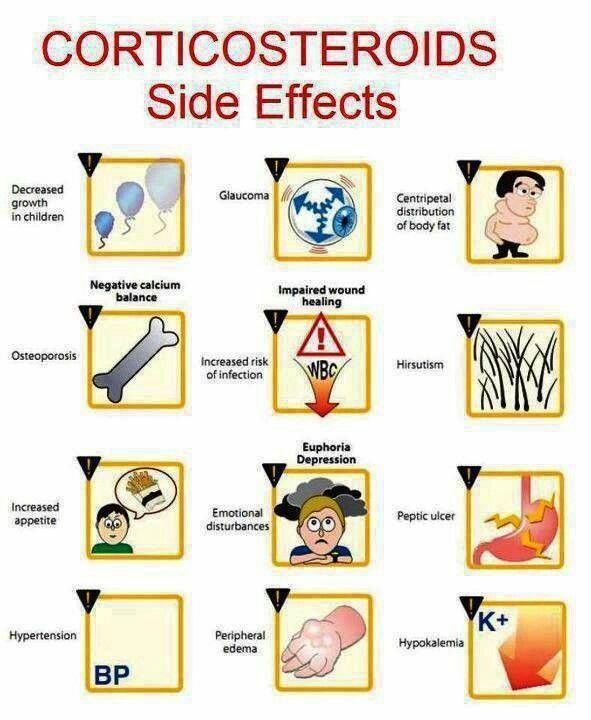 These studies can also provide insight into the possible mechanisms that might drive these side effects. "When we have a medication that's being given to a large population, we can pick up signals that might inform us of some potentially harmful side effects that we might otherwise miss in smaller studies," he says. "Analyzing large data sets like this is a goal of groups like MiCHAMP and can help us see these trends sooner, highlighting the importance of this type of research on Big Data." In the meantime, based on the new results, he advises patients and prescribers to use the smallest amount of corticosteroids possible based on the condition being treated. "If there are alternatives to steroids, we should be use those when possible," he says. "Steroids may work faster, but they aren't as risk-free as you might think."